Millions of people utilize buses daily, from students being transported to school, to professionals commuting to and from work, to vacationers touring cites and traveling across states. Bus transportation has many benefits: it is more cost-efficient than other modes of travel; it is convenient, as schools, counties, and private bus companies offer multiple routes and stops; and buses are accessible for the disabled, elderly, and teens who are unable or unwilling to drive. Most bus passengers safely reach their destinations. However, accidents, of course, do occur. In fact, several California bus accidents received media attention in 2013; the accidents resulted in many injuries and some fatalities. If you or a family member were a passenger injured in a bus accident, you should immediately seek medical attention. Once you have received treatment for your injury, please consider seeking legal counsel from Russell & Lazarus’s Riverside auto accident attorneys to discuss your legal rights and recourse. Wait at designated boarding/bus stops away from the street curb or other boarding area. Allow the bus to come to a complete stop before approaching, boarding, and departing. If traveling with children, hold onto them when buses arrive and depart. Board with caution – be aware of steps and anything on the bus floor that may cause slipping and falling; keep aisles free and clear. Be aware of emergency exit locations. Use available handrails/handholds for security. Personal injury victims who wish to bring suit against the party responsible for their injuries must do so within a prescribed statutory period known as the statute of limitations, or they risk waiving (relinquishing) the right to sue. The leading legal theory under which automobile accidents are brought is negligence. Negligence arises where a party has a legal obligation, or duty, to another party to act in a manner that does not expose others to unreasonable risk of harm. If the party fails to meet that standard, or standard of care, he has breached his legal duty. When that breach causes injury to another party, the injured party has sustained legal damages. 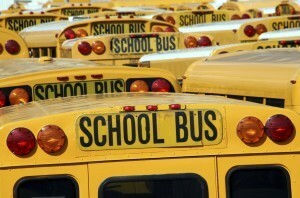 Bus accidents raise unique legal issues beyond negligence. The law imposes a higher duty on parties or entities that transport passengers. The heightened duty also requires employers to employ only competent, properly-licensed, and qualified drivers. If the employer fails to do so, the employer may be liable for negligently hiring that driver. A successful lawsuit requires suing the proper defendants, which includes any and all parties responsible for your injury. The employers and owners of buses are vicariously liable for the negligent acts of their employees, i.e. bus drivers. Accordingly, the lawsuit should include these and possibly other defendants. Another unique legal issue is that bus accident may involve many individuals, unlike regular automobile accidents, which involve a smaller number of individuals. When many plaintiffs (suing/injured parties) suffer common injuries resulting from a common occurrence (the same accident), the lawsuit may become a class action suit, or alternatively the plaintiffs may join in a single lawsuit rather than multiple individual suits. Our firm’s advocates possess exceptional skill and expertise in making these and other strategic decisions to achieve a successful result on your behalf. Bus accidents are a distinct type of automobile accident; thus, they raise distinct legal issues. Russell & Lazarus has been serving clients in Southern California with superior legal representation for over 30 years. Our firm’s Riverside auto accidents lawyers are dedicated to litigating every client’s case with the highest attention to detail and personal care. Please contact Russell & Lazarus at (800) 268-9228 to request a complimentary consultation with one of our Riverside auto accident attorneys regarding your bus accident.